Arie tagged me with this nice award, thank you!! EDIT March, 2011 - Grazie anche a *MaRtArEllA* per avermi "nominata" in maniera così carina sul suo blog! Anyway this only a part of my favourites, you can see all of them on my blogroll! I need to get on giving out my awards!!! Aww, that's so sweet! Thank so much! 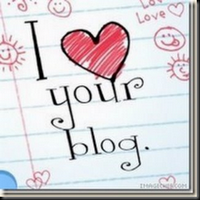 We love your blog too! thank you my little Italian sun!